In a Nutshell: Community 1st Credit Union is delivering effective financial education to the youth in the Iowa communities it serves through classroom education and financial clubs. The Dollar Dog Kids Club allows children 12 and under to open a savings account and redeem rewards with Doggy Dollars. For teenagers between 13 and 17, the credit union offers the Your Voice Club that includes savings and checking options, as well as loan opportunities for consumers with limited credit histories. Community 1st Credit Union also goes directly to the classroom with tailored curricula based on students’ needs. And through its partnerships with EverFi and Currency Marketing, the institution continues to deliver quality financial education to community members into adulthood. April is National Credit Union Youth Month, a period during which credit unions across the country focus on encouraging healthy savings habits among young people in their communities. For Community 1st Credit Union based out of Ottumwa, Iowa, it’s just one more opportunity to do what it does all year long — deliver valuable financial education tools and resources to children in the region. Last year’s theme was the science of saving, and saving paid off well for one boy and his family, said Lindsey Gould, the Marketing Program Coordinator for Community 1st Credit Union. She said because of the boy’s participation in the credit union’s Dollar Dog Kids Club savings program, he was entered into the annual contest and selected at random. The grand prize was the trip for a family of four to the science center, along with money for food and travel. The Dollar Dog Kids Club program is one of two youth-focused initiatives that encourage good financial habits at a young age. Where Dollar Dog is geared to kids ages 12 and under, the credit union’s Your Voice Club is aimed at teens ages 13 to 17. Community 1st Credit Union was founded in Ottumwa, Iowa in 1936 as the Dain Employees Federal Credit Union. The institution saw steady growth throughout the 20th century, then in the early 2000s began expanding by opening numerous branches across southeast Iowa. Today, the credit union has more than 58,000 members and more than $650 million in assets. Gould said Community 1st Credit Union believes that the better equipped community members are with financial education, the more successful they will be. Then, the community members’ success will translate into more success for the credit union. The Community 1st Dollar Dog Kids Club program encourages sensible savings habits for children 12 and under. “The Dollar Dog Kids Club program is a great way to reach kids and start getting them to think about things like saving at an early age,” she said. The primary focus of this program is on developing sound savings habits rather than checking accounts, she said, since children 12 and under don’t have a need for checking accounts. Dollar Dog kids earn one Doggy Dollar for every $10 they deposit into their bank account, with a maximum of $100 per day. Gould said the Dollar Dog participants can then use their Doggy Dollars to redeem prizes, which change every few months. Current redemption prizes include a Doggy Dollar wristband, pencil and pencil sharpener, fidget spinner, a water bottle, and the top prize — a $5 Wal-Mart gift card that can be redeemed for 20 Doggy Dollars. When Gould spoke with us, the team was gearing up for this year’s National Credit Union Youth Month, which she said is always a great time to reach out to more kids in the community. She said the credit union wants to make sure the children know they can ask any questions they want about savings and finances, and Gould and her team will be there to assist them. Gould said the theme of this year’s National Credit Union Month is “The future is yours… Picture it! Save for it! Share it!” The grand prize is a Polaroid camera for kids. The Community 1st Credit Union’s Your Voice Club is similar to the Dollar Dog Kids Club in that it seeks to provide valuable financial education to its members, Gould said, But, rather than being geared toward children 12 and under, the Your Voice Club is for teenagers between 13 and 17 years old. The Your Voice Club for teenagers ages 13 to 17 offers savings and checking accounts tailored to their needs. Loan opportunities are available for young adults 18 and older and those with limited credit histories. Gould said the credit union is committed to helping teens and young adults get a head start with their money. One of the ways Your Voice does that is by offering a checking account that includes options and benefits tailored just for teens. The credit union also emphasizes the financial education component in a broader way for the Your Voice club members as they are at an age where they are beginning to encounter real-life financial decisions. In addition to its Your Voice savings and checking account, Community 1st Credit Union offers a debit card for members and the Kasasa® Cash and Kasasa® Cash Back accounts. The Kasasa accounts offer cash back opportunities for maintain certain levels of monthly engagement. Your Voice also provides loan opportunities for young adults who have a limited credit history through its First-Time Auto Buyer Program and student loan offerings. Not only does Community 1st Credit Union provide a variety of financial education resources for children on its website, but Gould also said she frequently goes directly to classrooms to educate kids in the community. 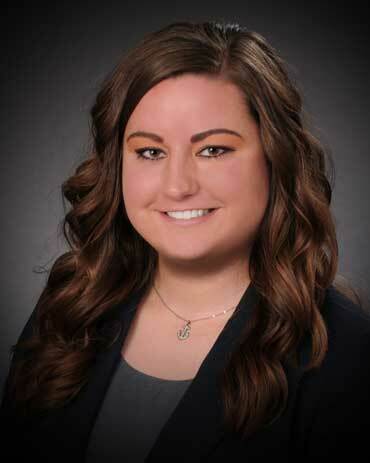 Lindsey Gould is the Marketing Program Coordinator for Community 1st Credit Union. She said she currently speaks to about one class per week. During the fall and winter, Gould generally makes two classroom visits per month. Gould creates the curriculum for each visit based on the teachers’ requests. “Some teachers want us to talk specifically about loans while others might ask me to prepare a lesson all about budgeting,” Gould said. The educational materials and curricula that Gould creates are based on resources provided through Community 1st Credit Union’s partnership with It’s a Money Thing. The company offers more than 30 different modules on various financial topics geared toward young adults. While the credit union prioritizes its financial education efforts for the youth in its communities, Gould said the institution also partners with EverFi to deliver financial education resources to adults as well. Gould said through its partnerships with EverFi and Currency Marketing, the credit union is able to provide continuity in its financial education efforts from childhood through adulthood. Members are not only prepared in advance for real-world financial decisions, but they are also able to receive ongoing financial education once it’s time to make those decisions.